Running from heartbreak, Chloe Marston leaves her old life in London for a fresh start in New York. Working at a luxury concierge company, she makes other people's lives run perfectly, even if her own has ground to a halt. But a terrible accident forces her to step into a new role, up close and personal with the company's most esteemed and powerful clients. 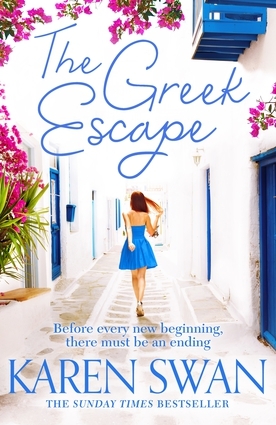 Charismatic Joe Lincoln is one of them and his every wish is her command, so when he asks her to find him a secluded holiday home in the Greek Islands, she sets about sourcing the perfect retreat. But when Tom, her ex, unexpectedly shows up in Manhattan and the stability of her new life is thrown off-balance again, she jumps at the chance to help Joe inspect the holiday house; escaping to Greece will give her the time and space to decide where her future truly lies. Tom is the man she has loved for so long but he has hurt her before—can she give him another chance? And as she draws closer to Joe, does she even want to? As magnetic as he is mysterious, there's an undeniable chemistry between them that she can't resist. But whatever her heart is telling her, she's in over her head—another client's wife has mysteriously disappeared and seriously allegations about Joe threaten more than just her happiness. Who can she trust? And will Chloe uncover the truth in time? Karen Swan is the author of The Paris Secret and The Rome Affair.